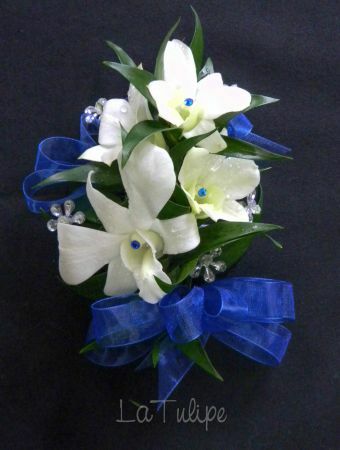 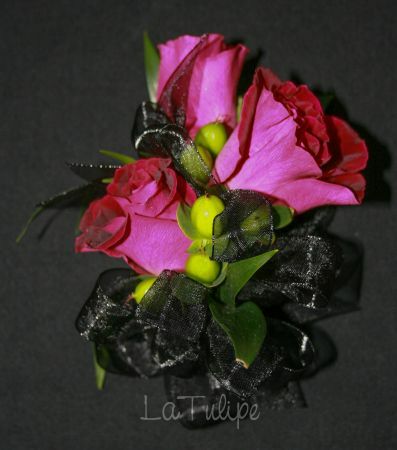 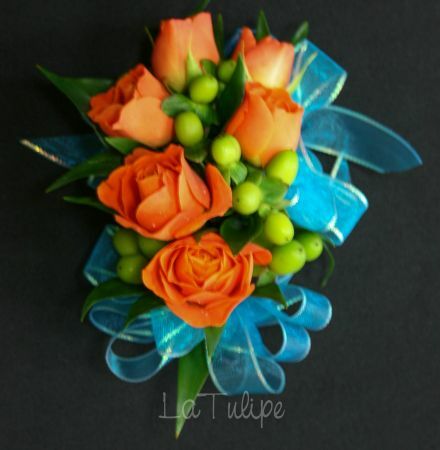 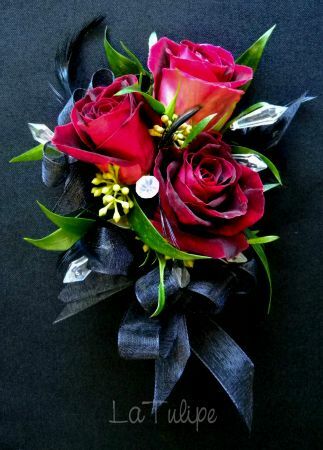 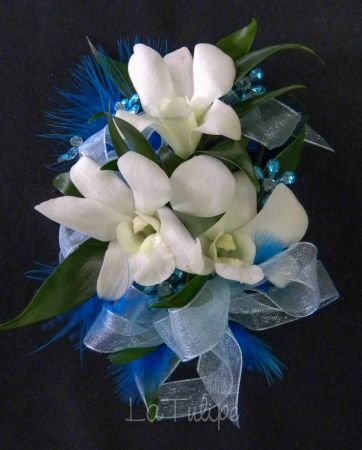 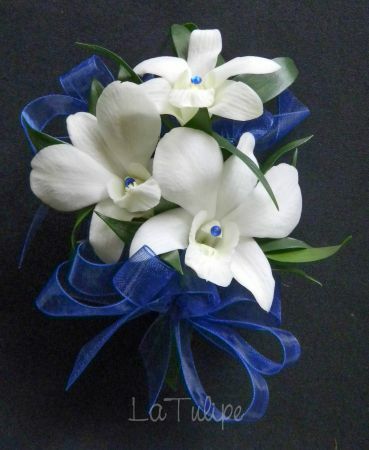 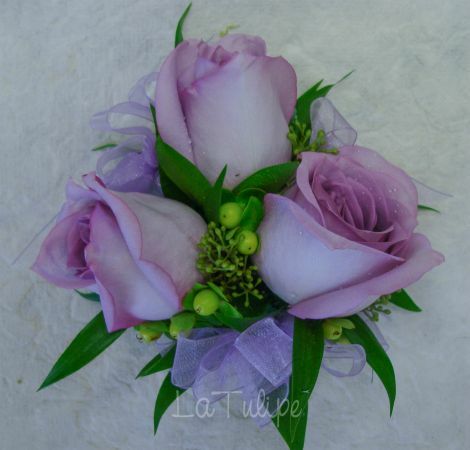 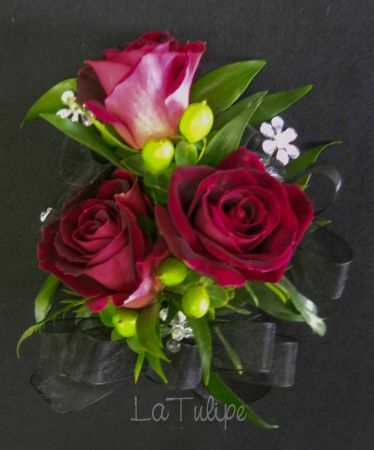 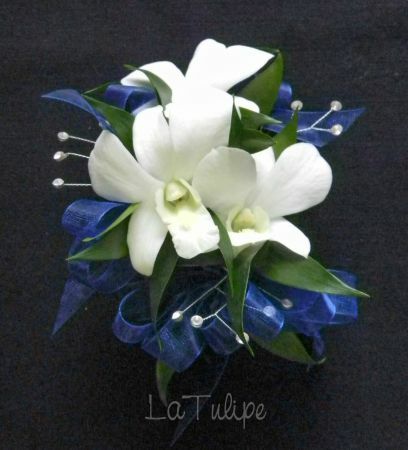 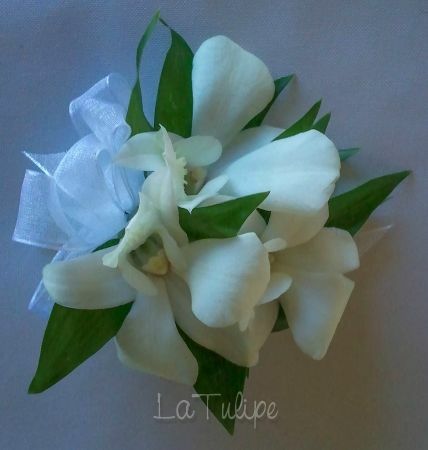 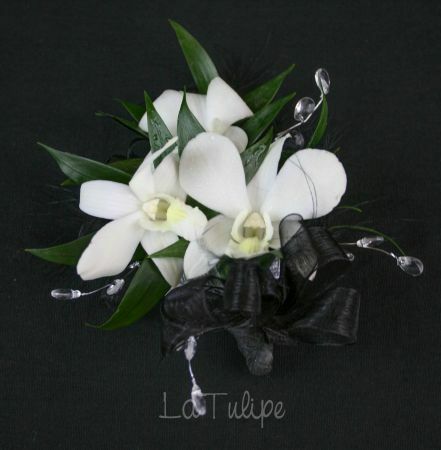 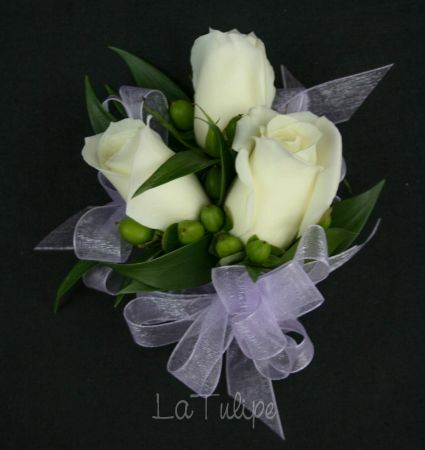 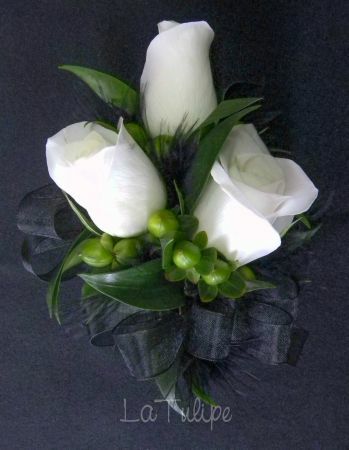 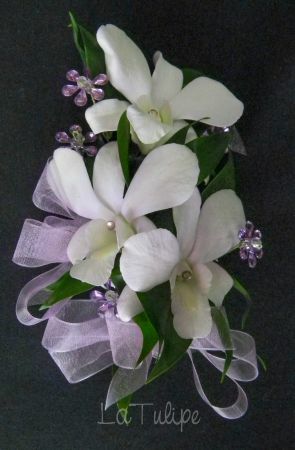 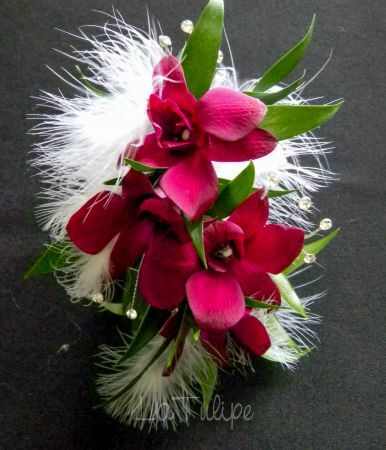 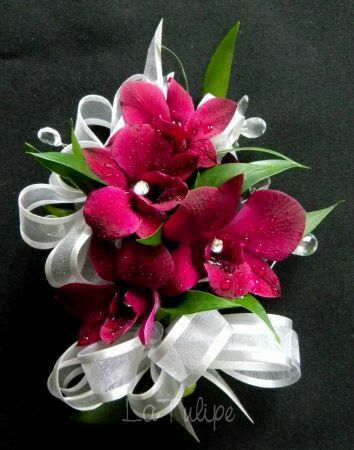 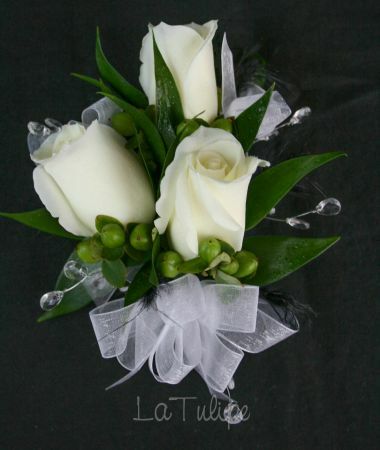 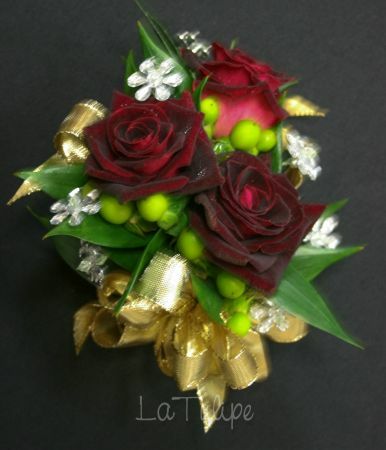 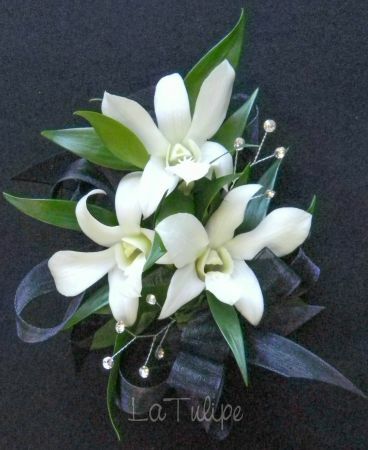 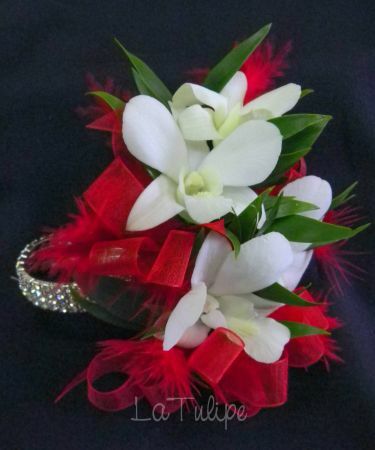 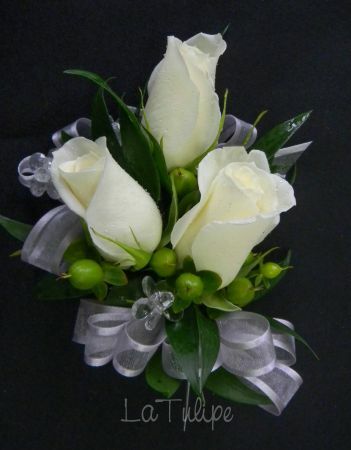 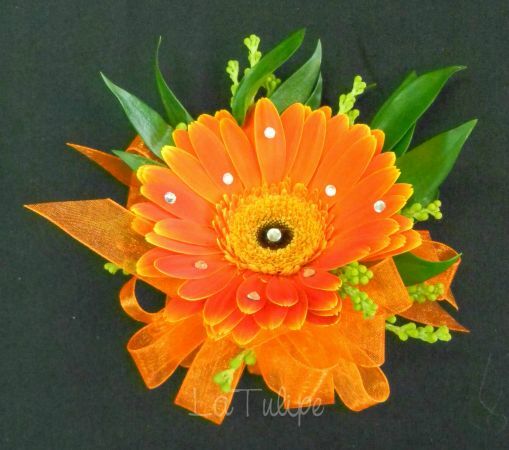 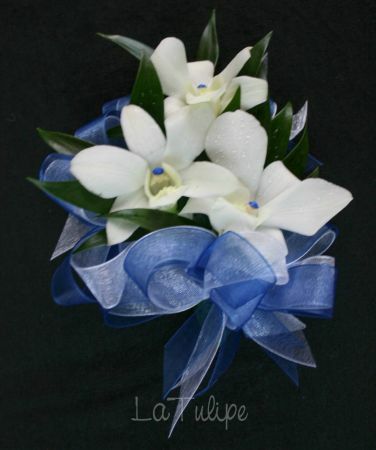 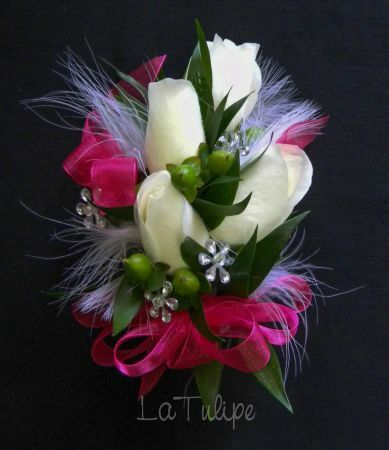 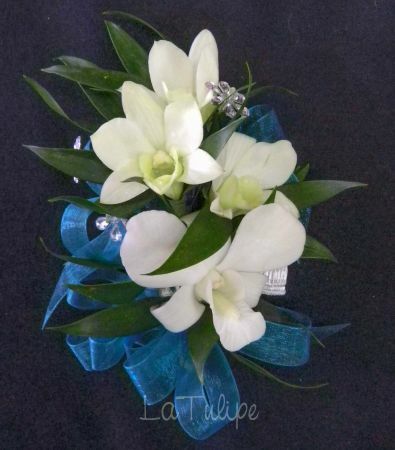 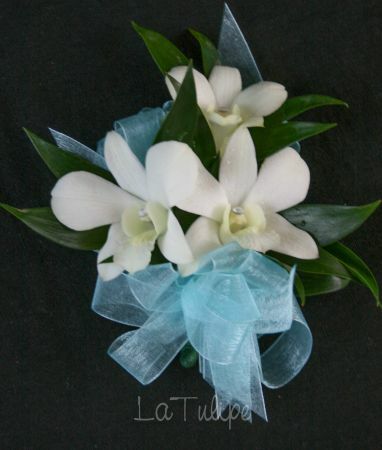 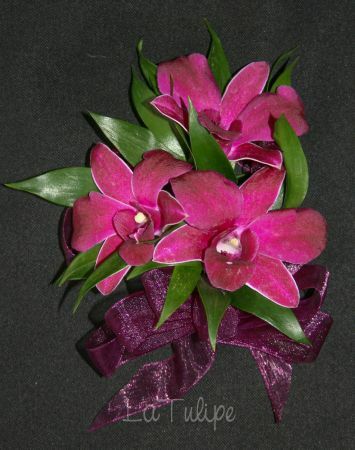 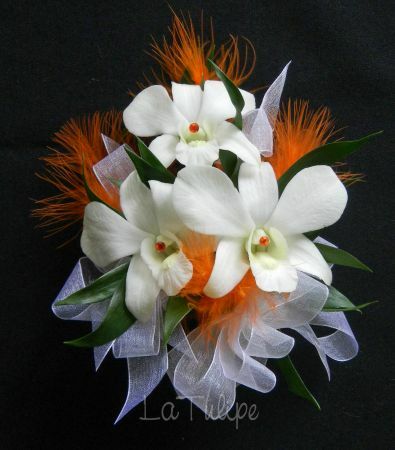 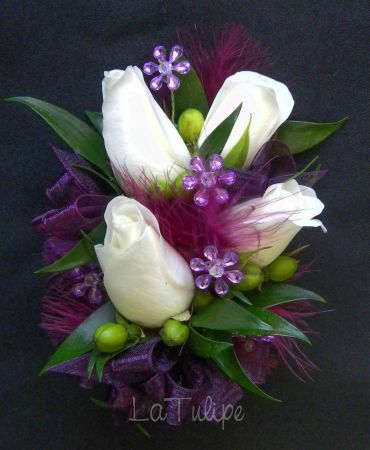 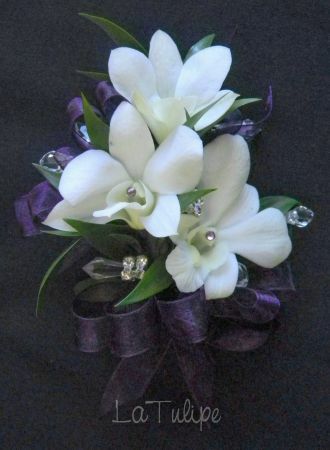 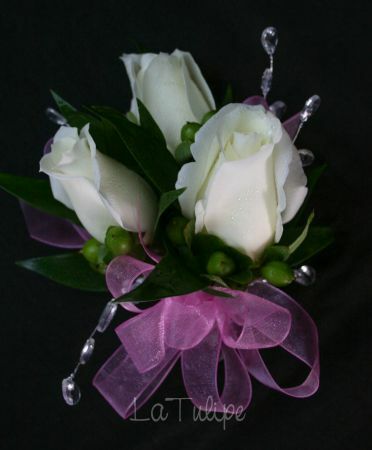 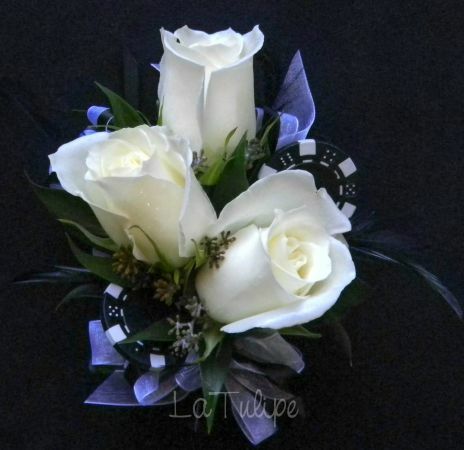 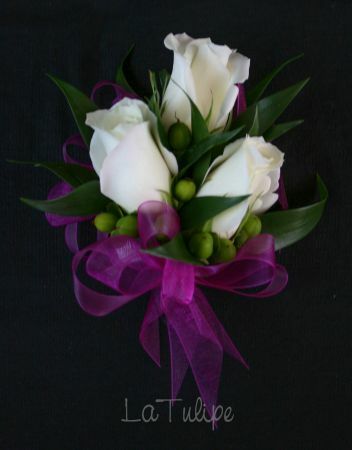 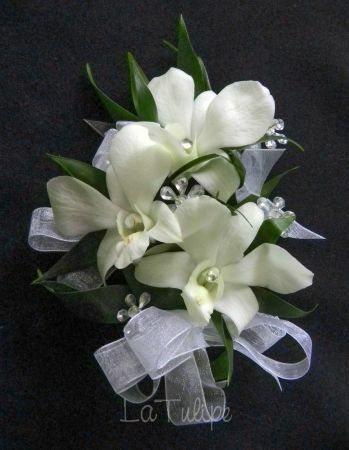 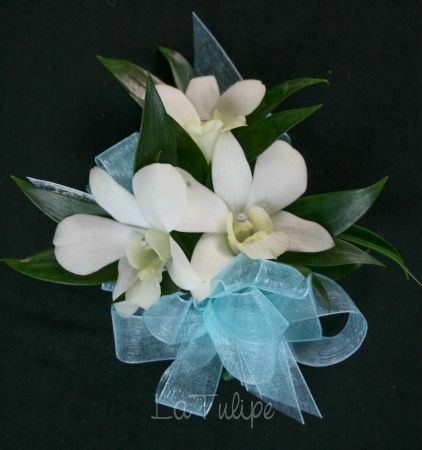 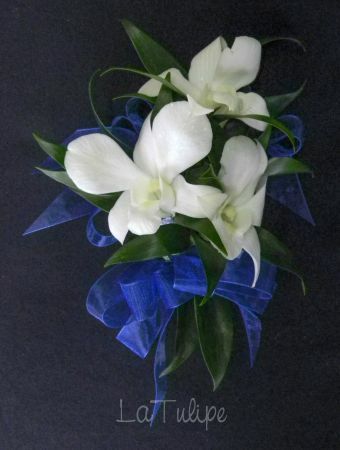 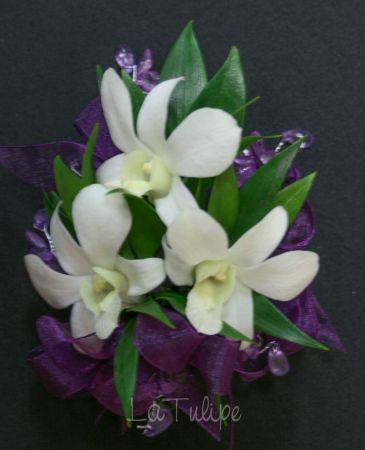 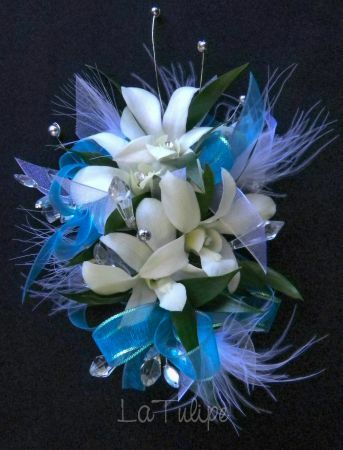 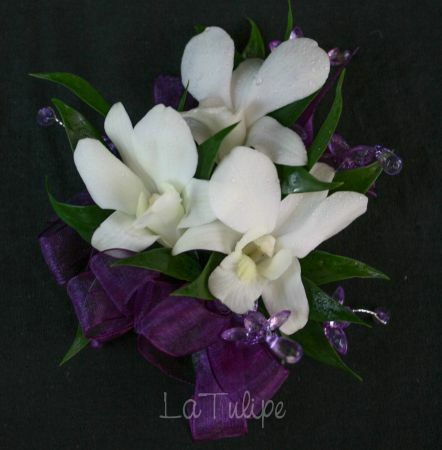 Homecoming Corsages & Prom Corsages must be perfect, we strive to design your Corsage with the freshest flowers. 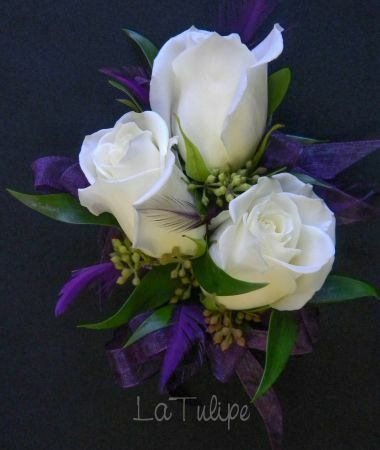 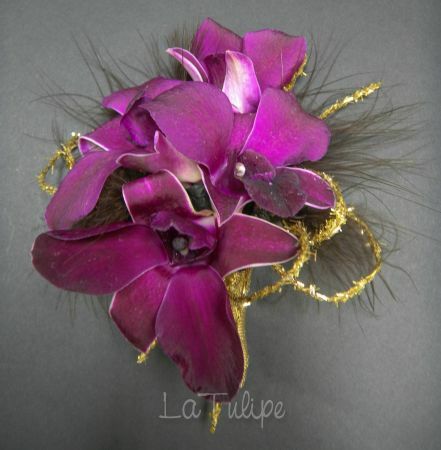 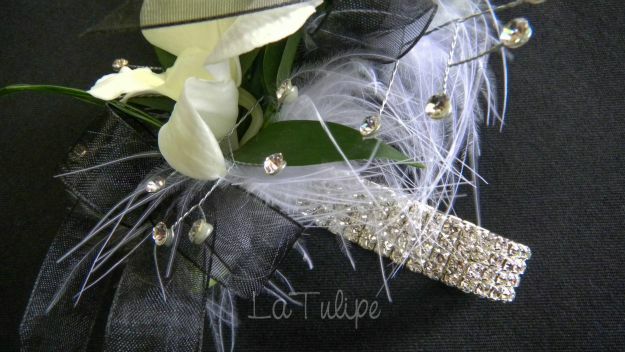 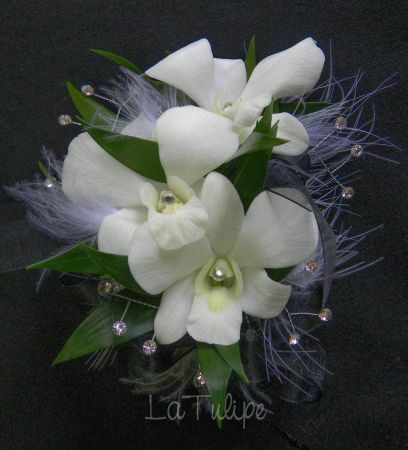 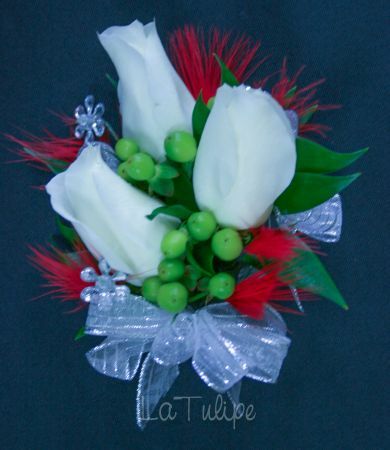 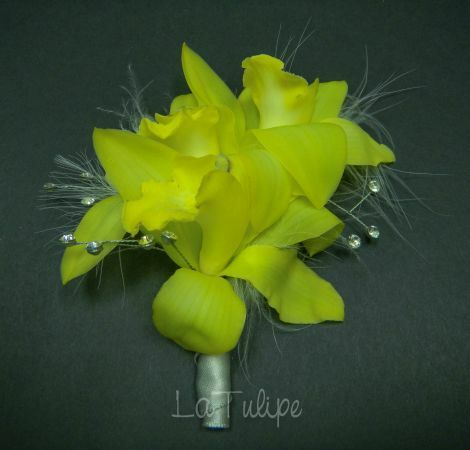 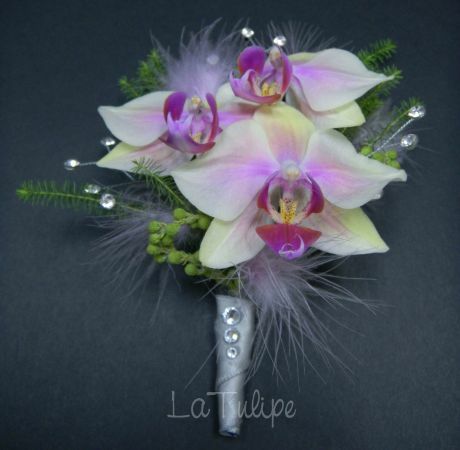 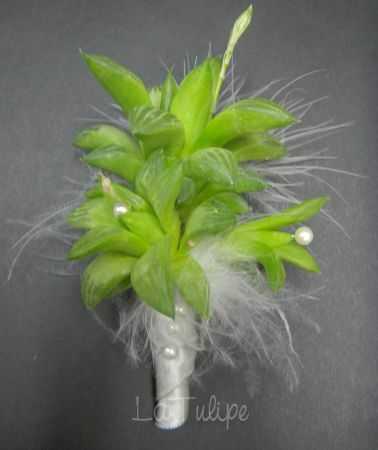 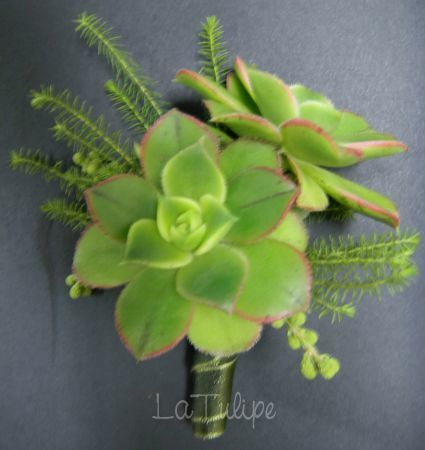 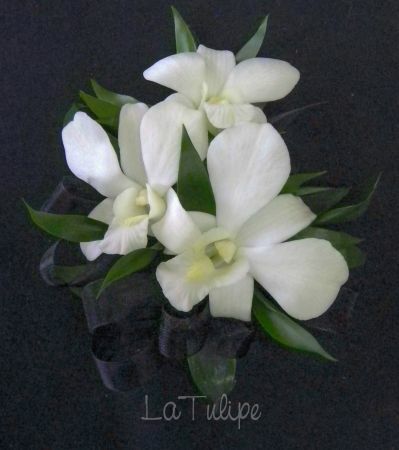 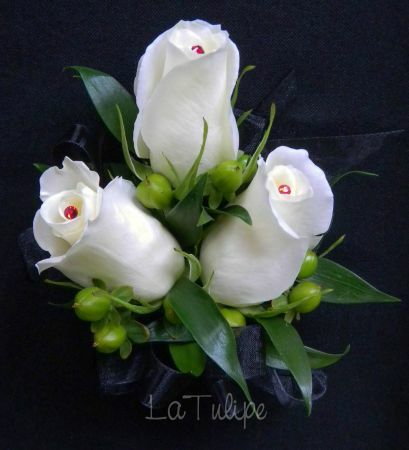 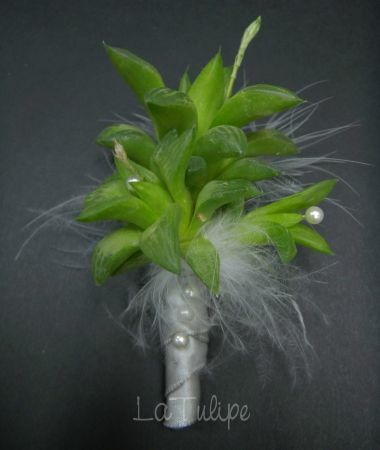 Call or stop by La Tulipe floral designs and let us create something special for you. 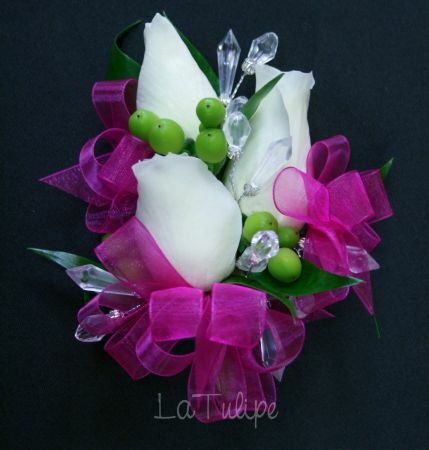 Bring in a picture or give us a description of your dress and we can recommend a style that will match and compliment your dress perfectly. 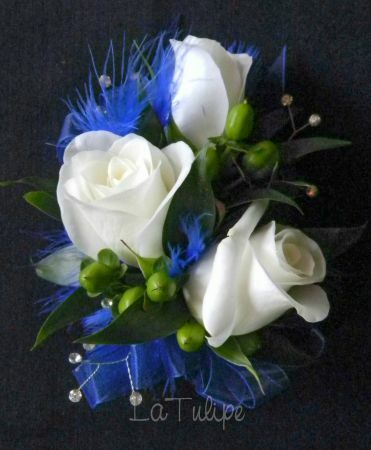 Our beautiful Homecoming Corsages & Prom Corsages are designed to make any girl feel like a princess as she dances the night away. 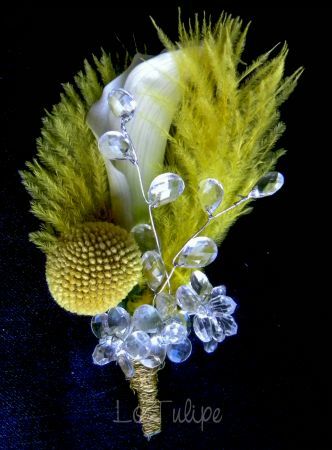 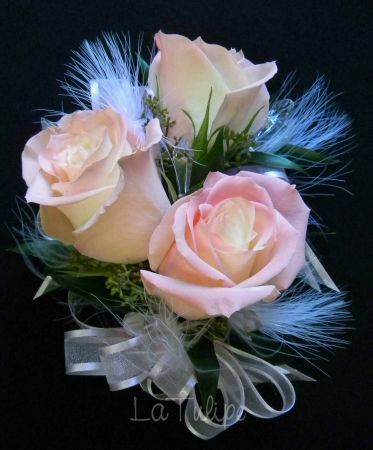 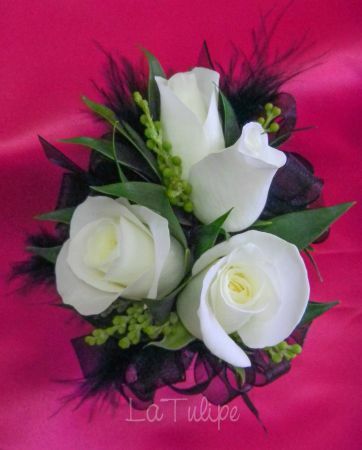 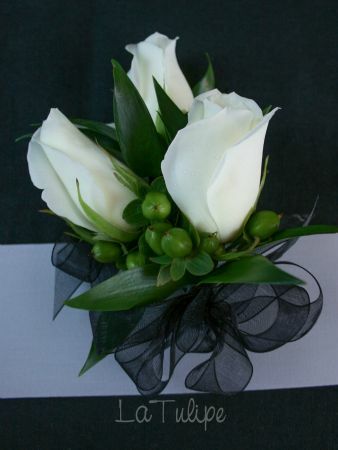 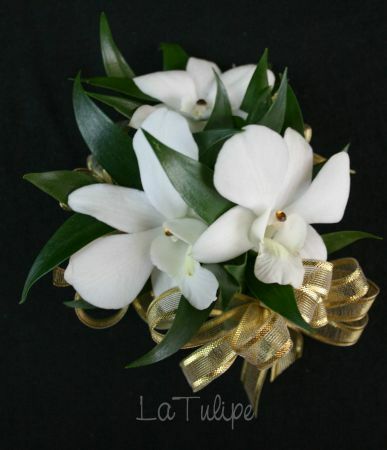 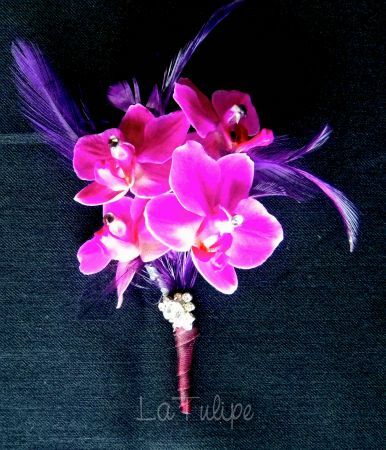 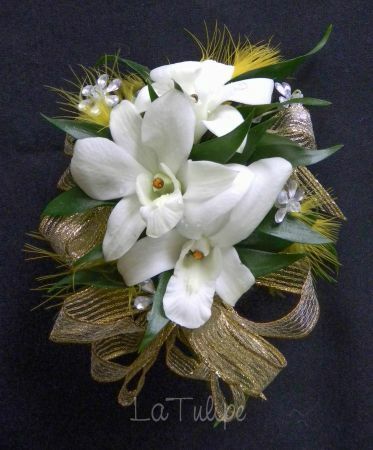 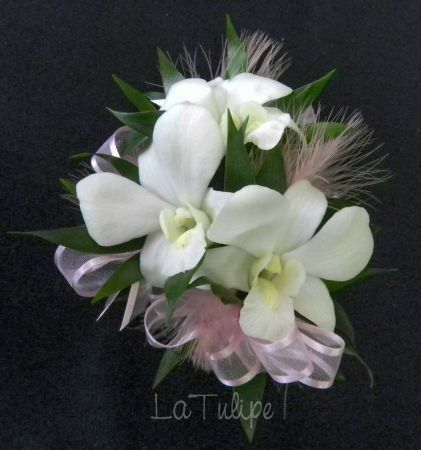 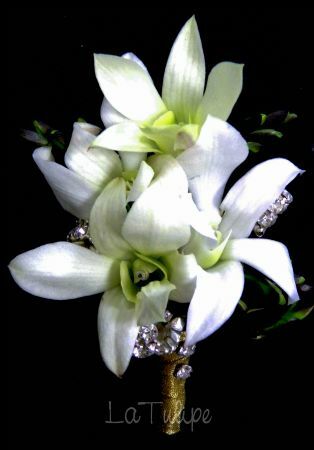 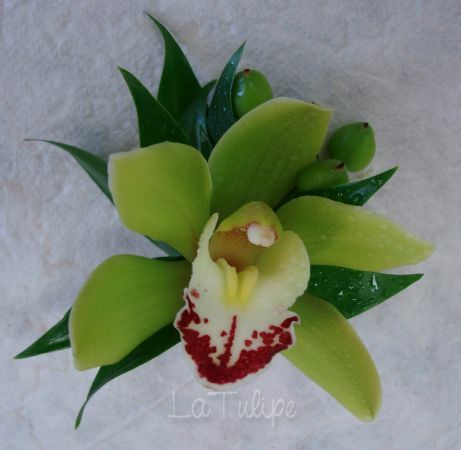 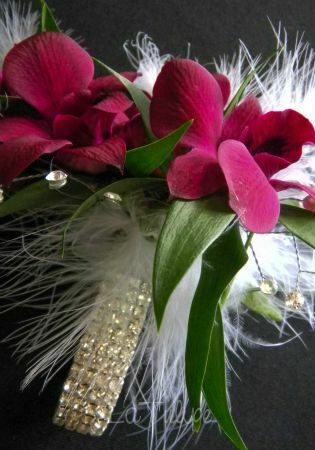 Our customers order from all over Orange County because we design the absolute best Corsages. 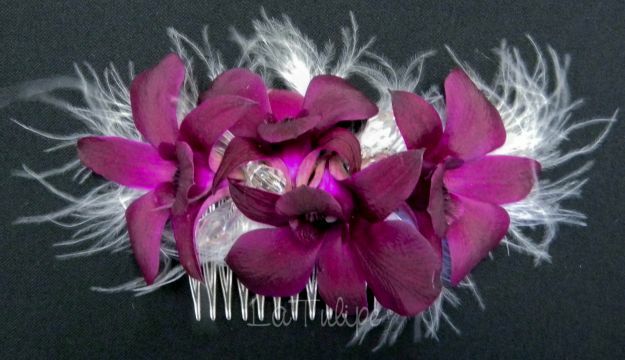 Let's design yours! 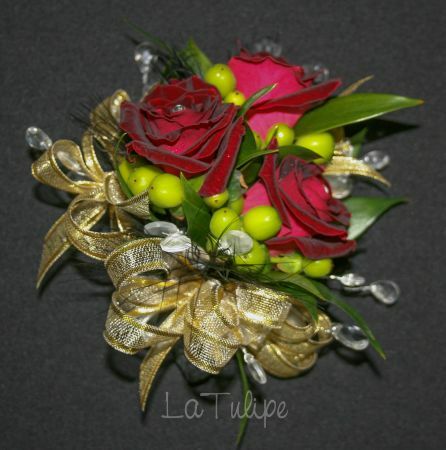 We hand wire each Corsage. 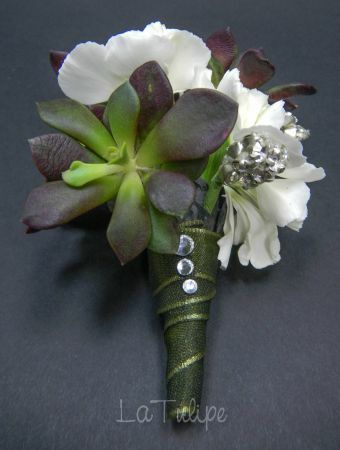 We do not "HOT GLUE" them. 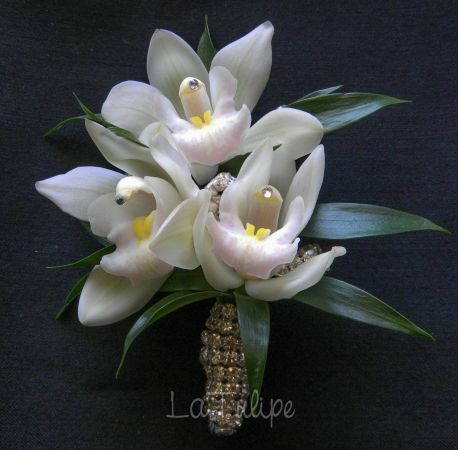 Our experience has shown that they do not fall apart as easy when hand wired. 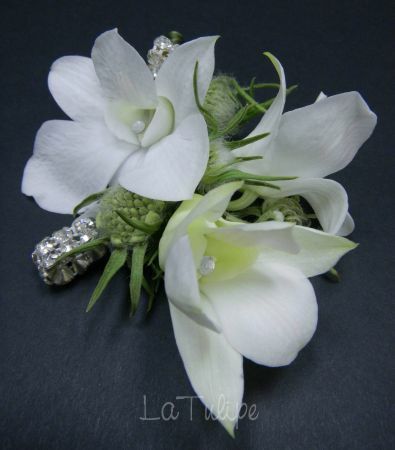 We hand select the freshest flowers for your Homecoming & Prom Corsages & Boutonnieres. 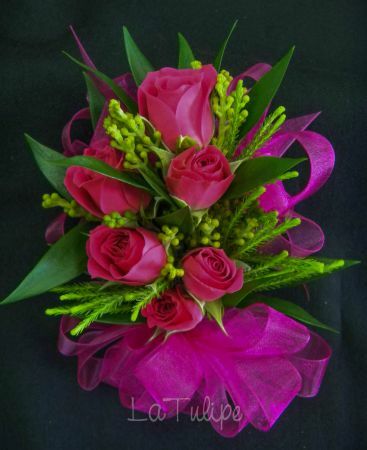 Choose from fresh pink roses, red roses, white roses, yellow roses, orchids, dendrobium orchids, cymbidium orchids and succulents in many different colors. 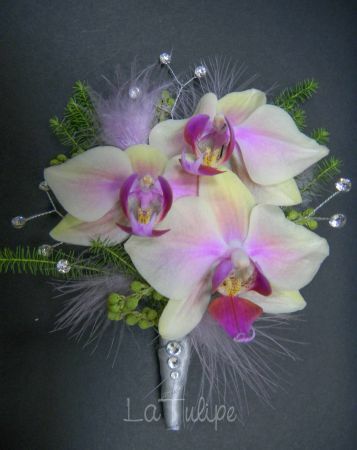 If you have a special request for a unique flower, be sure to give us advanced notice so that we may accommodate you. 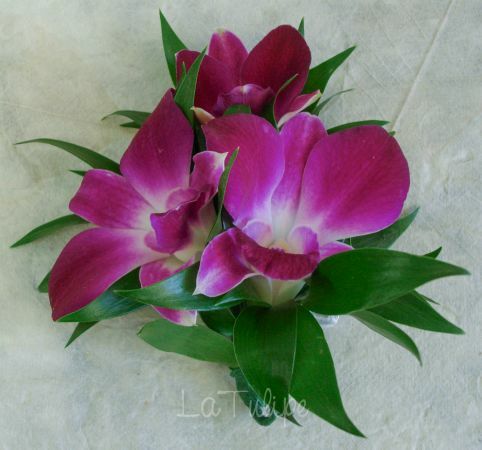 We will give our best effort to find that special flower! 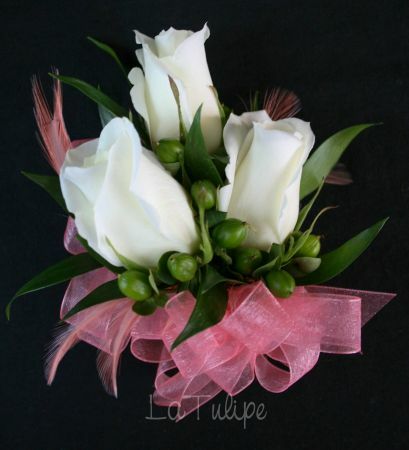 We deliver to all areas near Orange County. 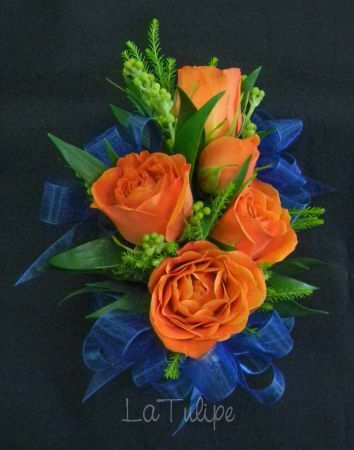 Including Aliso Viejo, Irvine, Laguna Niguel, Mission Viejo, Laguna Hills, Newport Beach, Corona Del Mar, Newport Coast, Dana Point, Laguna Beach, San Clemente, San Juan Capistrano, Laguna Hills, Coto De Caza, Ladera Ranch, Lake Forest, Tustin, Costa Mesa. 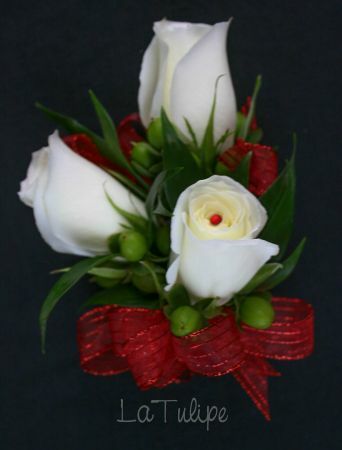 Call us to reserve yours today.